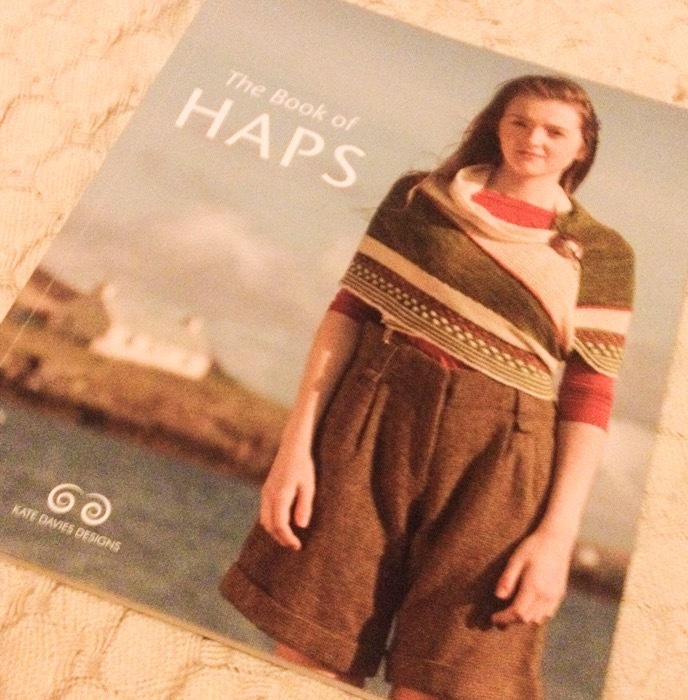 Recently I’ve been getting my knit on thanks the Kate Davies’ Book of Haps. 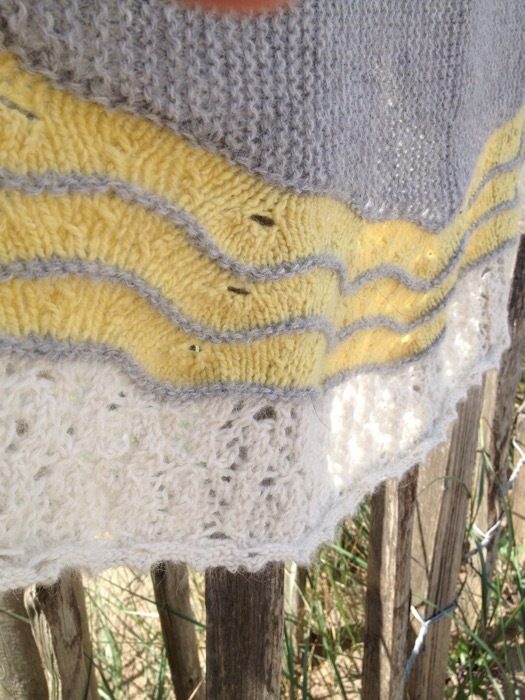 A Hap is a shawl traditionally worn by women working on the Scottish Islands. The book is fascinating and as well as the 13 modern designs based on traditional styles it also provides a concise history of the hap. Love the photographs Kate has found of people on the islands knitting, stretching them as well as wearing them. I was drawn to the Happenstance Hap by Romi Hill which reminded me of a butterfly and looked like it would keep me warm in winter. It was a fairly easy knit, although I did have to frog the lace border a couple of times before I was happy with it. 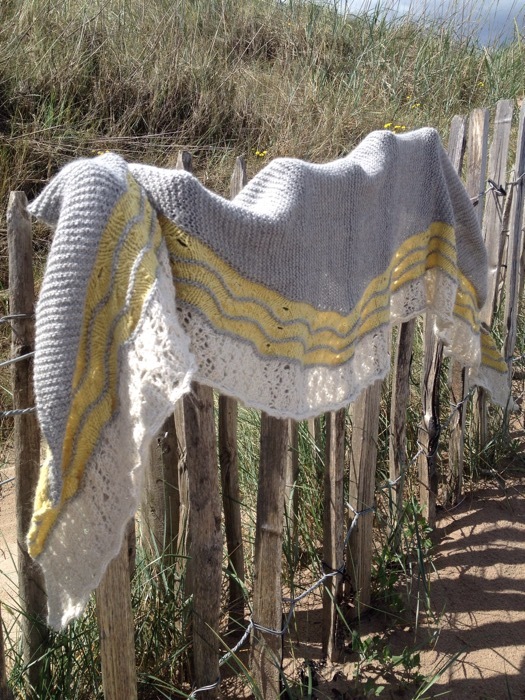 The Happenstance Hap was also so cosy as I took a bracing stroll along St Andrew’s West Sands. 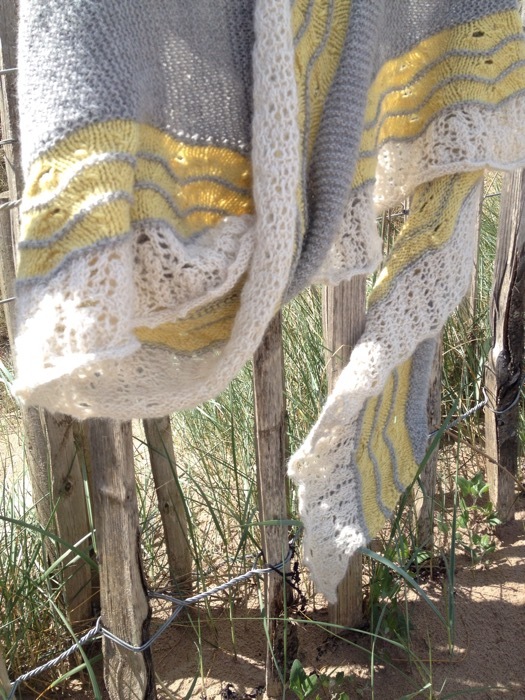 This entry was posted in arts & crafts, book review, frayedattheedges, knitting and tagged frayedatthreddges, hap, knitting, shawl, The Book of Haps, wool. Bookmark the permalink. If you would like to find out more about my makes and what I'm up to please head over to my facebook page. The 100 Day Project is back!